This refined headboard made of handcrafted cotton reproduces the traditional floral and diamond pattern, su pistoccu, elegantly combining bordeaux and white and using the a pibiones relief technique. 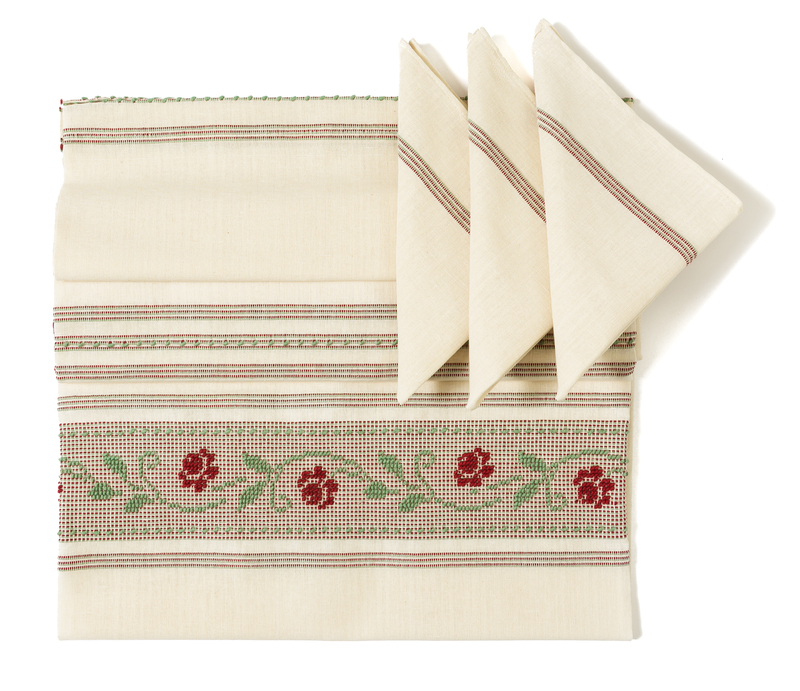 These tablecloths in fine linen and cotton are decorated with motifs typical of the local textile tradition. These exquisite linen and cotton bedspreads are decorated with tradition-inspired motifs using the a pibiones relief technique, with refined combinations of neutral colours and pastel tones. Handcrafted, they can be customised in size, combination of colours and decorations. 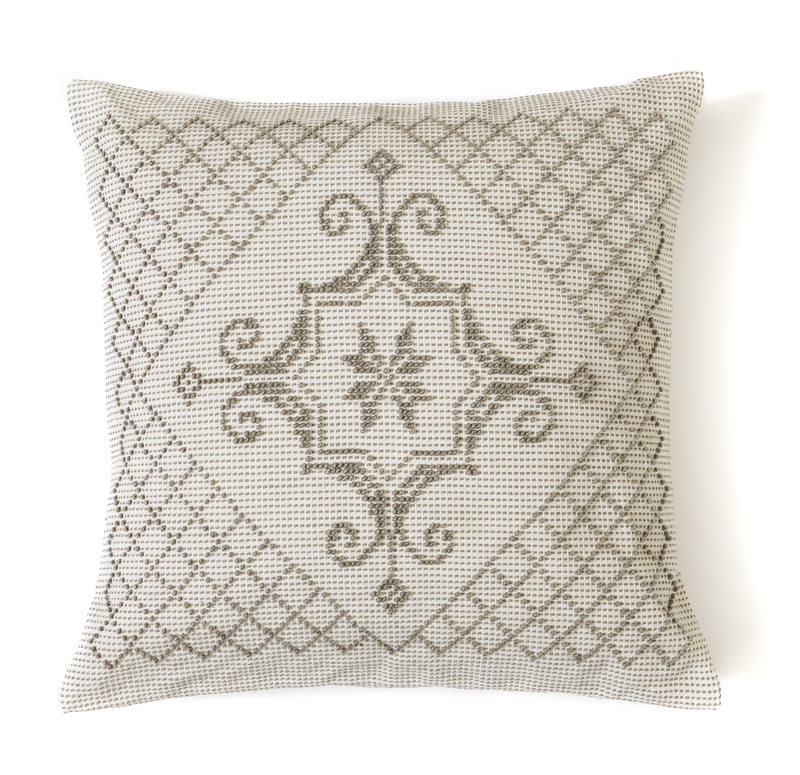 Refined and elegant, these linen and cotton cushions tastefully reinterpret the decorations of the local tradition in soft shades of natural tones. 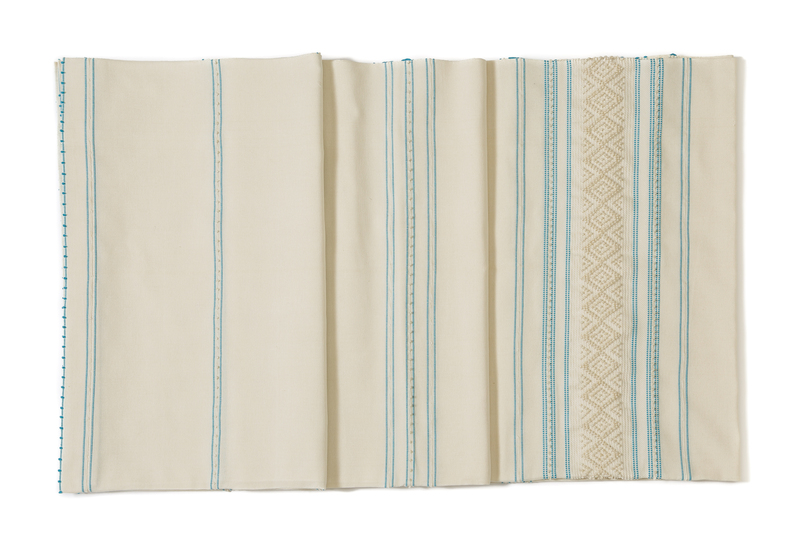 Maria Giovanna and Antonello Deidda’s textile production expresses the buzzing craftsmanship of Samugheo. This village has, indeed, a remarkable local tradition that is a source of inspiration for these two craftspeople who revisit the typical techniques and decorations. Maria Giovanna learned to weave at home using her mother’s artisanal loom and started her professional experience at a very young age in several workshops in her native village. Her brother Antonello also started to work as a weaver in local workshops when he was only fifteen, acquiring invaluable experience and knowledge in this craft. In 1993, Maria Giovanna started her business – Manifattura Tessile Deidda – which Antonello joined later on, setting up a small workshop that in time acquired more equipment and grew considerably. The line of products, such as drapery and furnishing textiles, is elegant and evocative of tradition, destined for a contemporary clientele appreciative of quality craftsmanship. Their production is exhibited in the outlet in Samugheo and in shops in the main tourist centres in Sardinia that specialise in local crafts. They promote their products every year at the renowned Sardinian Handicraft Fair in Samugheo. The production of their artisan workshop focuses on elegantly decorated drapery and furnishing fabrics: textiles for the bedroom, cushions, curtains, tablecloths and other coordinated linen and cotton fabrics, which are handcrafted with the a pibiones relief technique. 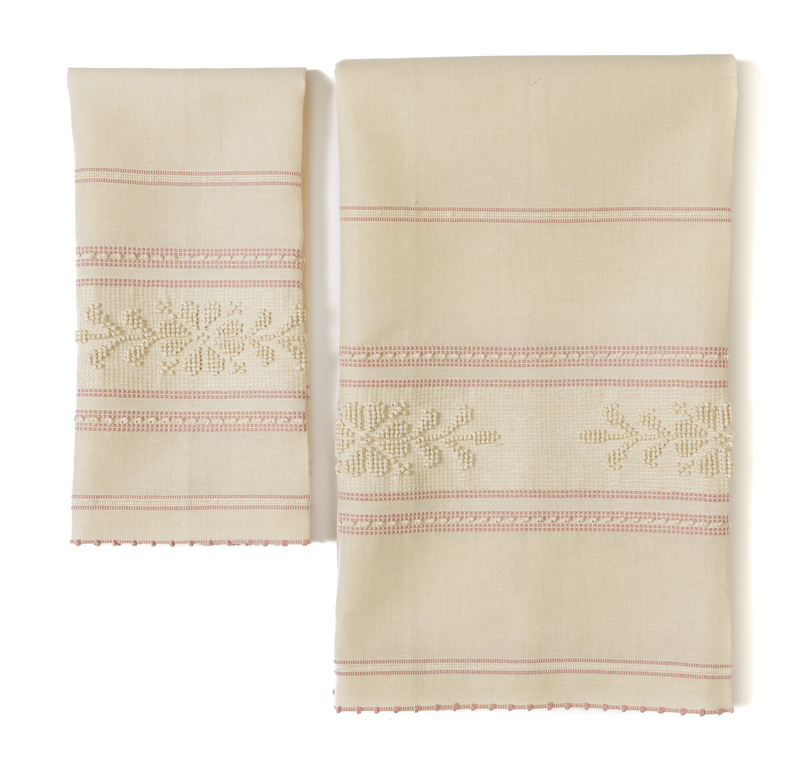 Maria Giovanna and Antonello use the a pibiones relief technique and weave fabrics with natural cotton and linen yarns on semi-automatic looms according to the specific requirements of the product.